Gary Brogan Tractor Sales, situated in the heart of West Limerick just outside Newcastle West, specializes in the sale of both new and pre-owned agricultural tractors, machinery, plant and vehicles. Since opening in 2002 on the main Killarney road in Newcastle West, Gary Brogan Tractors has grown steadily and built up a considerable base of customers not only from West Limerick but from East Limerick, County Clare and County Kerry, all due to the guiding principle of selling quality used tractors. As a result, Gary Brogan Tractors was appointed Main Dealer for Clare, Kerry and Limerick for Landini, one of the worlds great tractor brands. The dealership is run by Gary Brogan, who has developed the business over the years to meet the needs of local farmers and agricultural contractors and will now deliver the same quality customer service to the many existing and potential Landini owners. All used equipment is meticulously checked and overhauled by our service team before sale. We can also provide top quality servicing of other agricultural and plant machinery as well as supplying parts for all the leading brands and models. We carry an extensive range of heavy duty filters for virtually all tractors, backhoes, combines, silage harvesters, loaders and other off-road machinery used in Munster. Our website is constantly updated with new and secondhand machinery for sale. Visit our well stocked machinery yard to see the latest Landini and Tumosan range of tractors or call Gary Brogan at 069-78942 for more information. Bellon designs and manufactures mowers and mower-conditioners for diverse applications and conditions. The Bellon range of disc mowers can work in different types of soil and crops and are the best choice for hilly or uneven ground. They are available in either PTO or belt drive versions .Bellon disc mowers are the efficient and cost effective way to cut hay. If you’ve used sickle mowers in the past, you know how they cut hay leaving rough edges and a poorly cut field, but Bellon disc mowers use precision spinning blades and allow you to cleanly harvest your hay without leaving rough edges everywhere. Gary Brogan Tractor Sales are agents for Bellon and carry the D4L – D8L and the D6000 – D7000 series which are ideal for local applications and conditions. Call Gary at 069-78942 for more details. Sulky, French manufacturer of fertiliser spreaders, is the market leader in the production of fertiliser spreaders and seed drills in France and is one of the top three producers in Europe. Established in 1936 the company is based near Rennes in the north west of France. To celebrate its 75th Anniversary and demonstrating a firm commitment to agriculture and the future of Sulky itself, the company commissioned a brand new state of the art factory on a green field site in July 2011. Sulky has introduced a new generation of fertiliser spreaders designated the DX Series. This new range is designed to provide increased accuracy, higher capacity, more spreading widths and increased operator comfort, according to Sulky. Hopper capacities are available from 900 Ltrs up to 3,000 Ltrs and spreading widths range from 9 meters up to 36 meters. Adjustments are made away from fertiliser and moving parts at the back of the spreader, by two simple and logical controls for setting the application rates and working widths (a Sulky patent). Accuracy and consistency is guaranteed, according to Sulky, with full width overlap between inward and outward passes with high tolerance to setting errors, cross winds and low quality fertiliser (another Sulky patent). A constant and consistent flow of fertiliser is assured irrespective of the weight of fertiliser in the hopper because the outlet shutters are located on the sloped wall of the hopper and the pulsating rate regulator, Sulky says. All working parts are made from stainless steel and the one piece stainless steel hopper bottom (with no welds – exclusive to Sulky) provides constant delivery of fertiliser and total emptying of the hoppers. The heavy duty chassis is manufactured from high elasticity steel and features a high resistant paint finish. The gearbox carries a three-year manufacturers warranty. A full range of precision farming applications are catered for including border spreading controls, automatic calibration, weighing and application rate adjustments. The new DX Series complements the established Sulky X Series with hopper capacities up to 4000 litres and spreading widths from 18-50ms. Sulky also offer a range of trailed fertiliser spreaders with hopper capacities up to 13,000 litres and spreading widths up to 50 metres. Gary Brogan Tractor Sales are delighted to be agents for the famous Sulky fertiliser spreaders in Co Limerick. 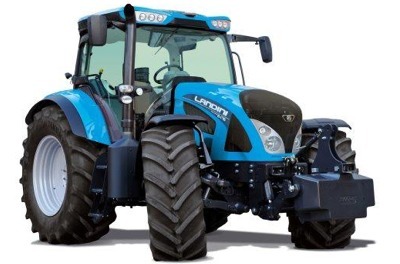 Call Gary Brogan Tractors at 069-78942 or 087-9750219 for more details and model availability. If you need more information on any of the tractors or machinery we carry in stock, have a parts inquiry or if you just want to ask us a question, call us at 069-78942, on the mobile at 087-9750219, or submit the Contact Form and we will get back to you by return.